In a joint statement filed to a California district court on Monday, Apple and Samsung announced an agreement to participate in court-supervised mediation of their years-long patent dispute. Attorneys representing Apple and Samsung said in an alternative dispute resolution (ADR) statement lodged with the U.S. District Court for the Northern District of California that they are willing to enter mediation talks covering settlement terms relating to the first Apple v. Samsung patent trial. Magistrate Judge Joseph Spero will preside over the discussions in November. Pursuant to the September 18, 2015, Case Management Order (Dkt. No. 3289), the parties jointly submit this update on alternative dispute resolution. The parties are willing to mediate with Judge Spero with a settlement conference deadline of November 15, 2015, and are conferring on scheduling. The decision to mediate comes as Apple v. Samsung presiding Judge Lucy Koh heads into the case's second damages retrial tentatively scheduled for March or April of 2016. Next year's action will be the third jury trial in the original Apple v. Samsung saga that in 2012 found Samsung accountable for $1.05 billion in damages for infringing on Apple patents. It will also be the fourth action to be heard by Judge Koh as part of Apple and Samsung's larger court struggle. Apple is currently fighting for a total of $548 million in damages connected to its first court win, a sum eroded by retrials and successful appeals from Samsung. Apple and Samsung CEOs previously agreed to court-supervised mediation before the first jury trial in 2012 and again ahead of a second trial in 2014, but both meetings fell short of achieving an amicable resolution. Most recently, the U.S. Court of Appeals for the Federal Circuit this month ruled Apple is entitled to block sales of handsets found to infringe on patented technology. 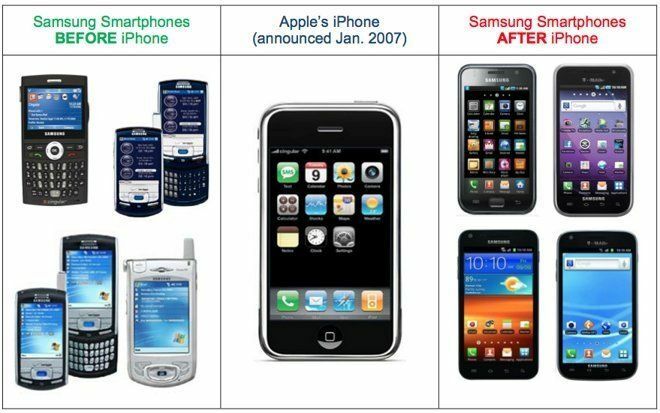 The appeal stems from Judge Koh's initial ruling that afforded Apple damages and royalties for Samsung's unauthorized use of protected inventions, but not product embargoes.